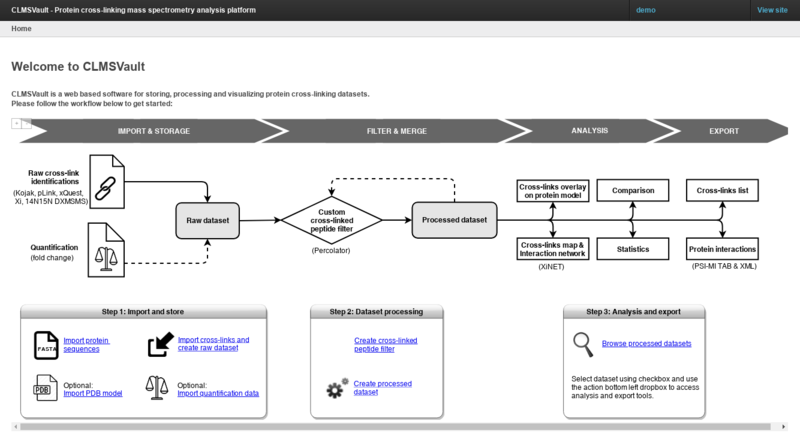 ProteoConnections is a bioinformatics platform tailored to address the pressing needs of proteomics analyses. The primary focus of this platform is to organize peptide and protein identifications, evaluate the quality of the acquired data set, profile abundance changes, and accelerate data interpretation. 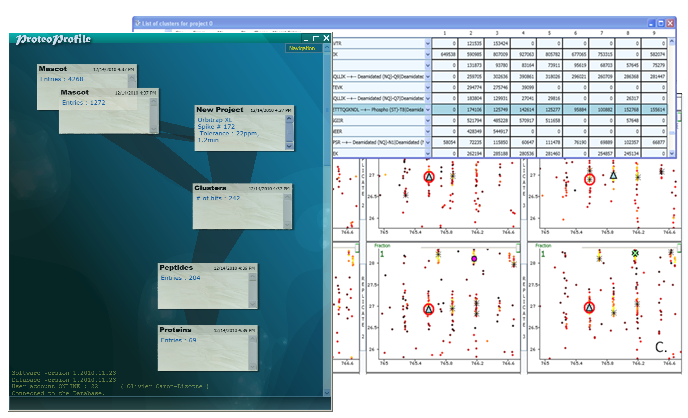 ProteoProfile is a software suit that assists scientists by extracting information from mass spectrometers data. Users can create projects, store them in a database and associate different mass spectrometer files to their different conditions / replicates / fractions. ProteoProfile can extract ion peaks from maps and cluster them together. If used with a Mascot report, ProteoProfile can extract the peptides and proteins found in your experiment and export different results to assist in quantitative proteomic analysis. Based on sub-routines from ProteoProfile, ADIA is a small software that generates LC-MS inclusion lists by extracting meaningful information from the Thermo Raw files of specially designed data sets. 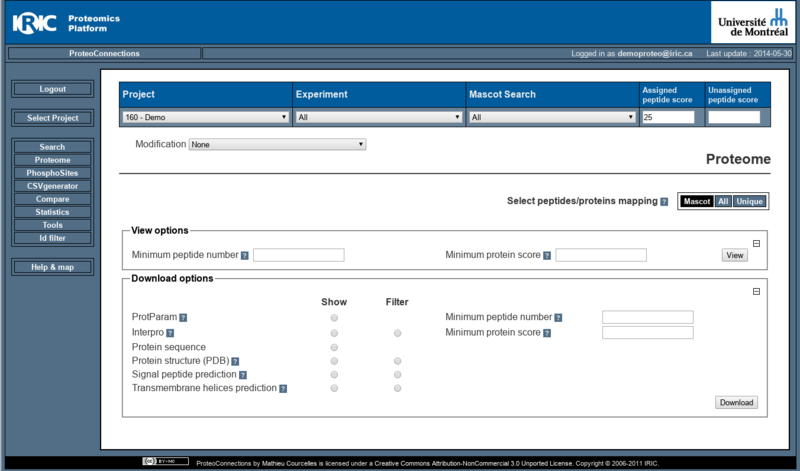 To facilitate the analysis of cross-linking mass spectrometry (CL−MS) data, we developed CLMS Vault, a software suite designed to leverage existing CL−MS algorithms and provide intuitive and flexible tools for cross-platform data interpretation. 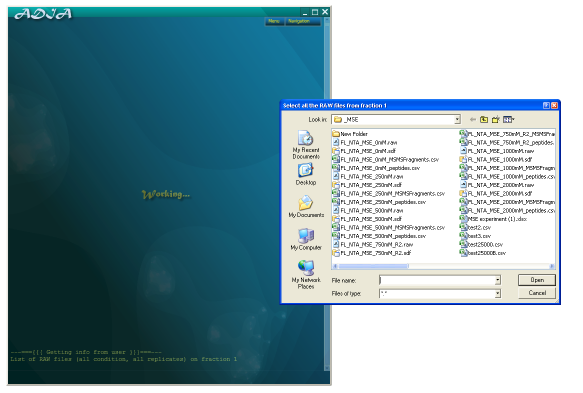 CLMS Vault stores and combines complementary information obtained from different cross-linkers and search algorithms. An embedded 3D viewer enables the visualization of quantitative data and the mapping of cross-linked sites onto PDB structural models.